So you purchased a new Ridgeline RT and you want the RTL-T (LED DRL and Halogen Low beam) or RTL-E (LED DRL and LED Low Beam) headlamps in your truck. I don't blame you LED headlamps are super bright and super cool. Not to mention getting rid of that lame Hi beam DRL in favor of an LED DRL. Seriously Honda. Who wants a Hi beam on low power for a DRL anymore. We all want an LED strip for a DRL. Which Ridgeline do you have? I have to say this is an AWESOME upgrade for any RT, RTS, Sport, or RTL owner who is looking to MASSIVELY improve both their "Cool Factor" and Safety Factor with the LED DRL "Swoosh". Plus, the MUCH improved Honda LED Projector Low Beams, too. I have an RTS that has gone from night to day. 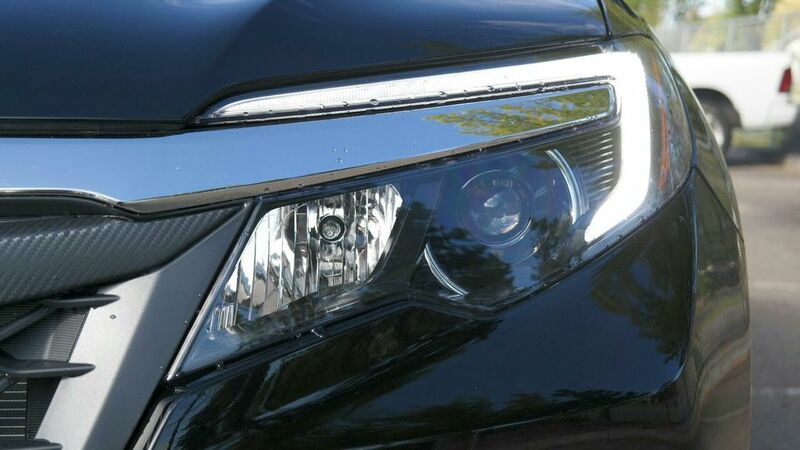 Just like the CBS Evening News, and Consumer Reports also featured this same Headlight Assembly and the Ridgelines that have these head lamps. Next, I'm going to put some PIAA LEDs in the High Beam spot so a person can light up the nigh when nobody is around (of course). :-) Jeff was super nice via email and even on the phone. It's always fun to talk to someone who also really appreciates making detailed things simple for others with Professionally Engineered Mods that are Plug and Play rather than some home hack job. ;-) So, I highly recommend this!!! You will not regret getting this upgrade!!! Far as I'm concerned worth every penny to satisfy my wife who wanted the simpler feature set of the RTS, but still get the safety and cool of the RTL-E or for those that don't want the LED Projectors...they can get the less expensive RTL-T lights that still have safety and cool factor with the LED DRL Swoosh. :-) Either way is a WIN!